Chanel Runway for Spring Summer 2012 by Zaha Hadid. Blow me down with a feather why dontcha? First of all, I cannot friggin believe I am blogging about Zaha Hadid’s work, but not just that – Zaha’s work I really like. What the…? Well, stranger things have happened I guess. 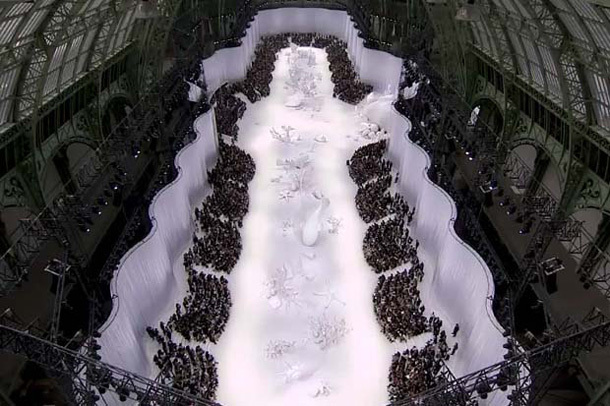 For the recent Paris Fashion Week 2012 Chanel runway show, Karl Lagerfeld commissioned Hadid to design the catwalk with a nautical concept and transform the Grand Palais for women’s Spring/Summer collection. How incredible, no? This is what happens when designers hit that sweet spot of inspiration, magic and unlimited budget. Isn’t it just crazy to think all that effort went into a 15 minutes show? And I’m not talking about the set only. How about all the clothes (the most divine, exquisite, lust-worthy clothes… *le sigh*), the shoes, the bags and the make-up. It’s exhausting! I was so taken by these images and the video, so I had to dig a bit deeper to discover some great shots taken backstage before the show (see below). The most amazing attention to detail or what? Oh ok, and let’s have another look at the clothes. Hell yeah! Genius! I couldn’t agree more. Maison Martin Margiela in Beijing. Barcelona Travel Guide | Places To Eat & Drink. Totally AMAZING! Brings together my three favourite things, Chanel, Zaha Hadid and FLorence Welch. Zaha’s famous and beautiful aesthetic tie seamlessly with the chic, timeless aesthetic of Chanel. It is just amazing. 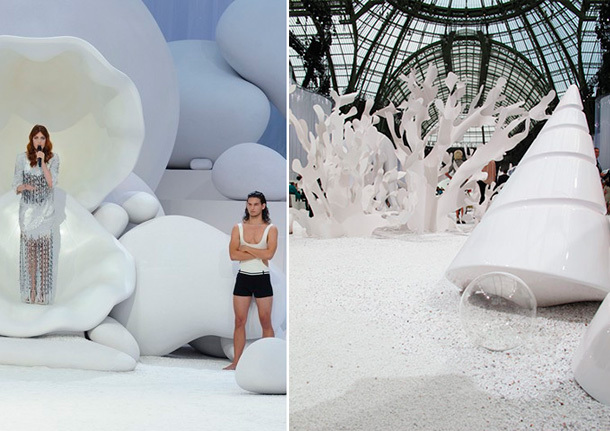 I love the Grand Palais, and this installation for Chanel was just stunning!